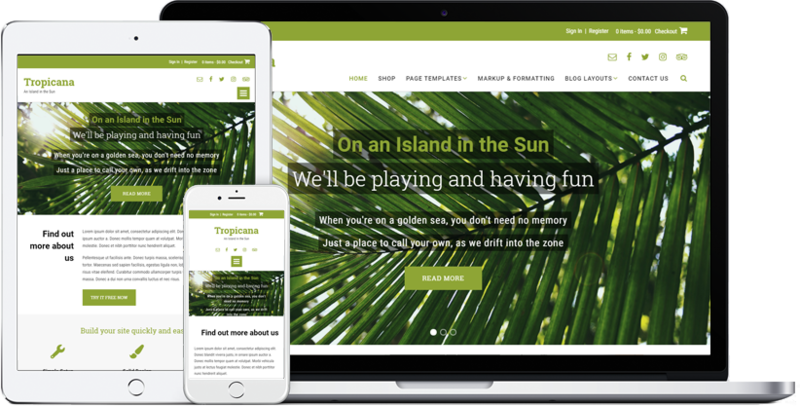 Get the island style with our Tropicana WordPress theme. 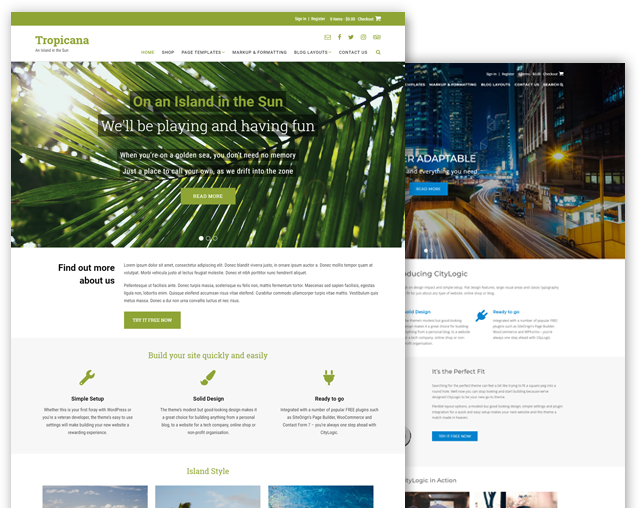 Its clean design and high customizability make it perfect for creating any website from travel to business to food, decor, lifestyle, sport and more. 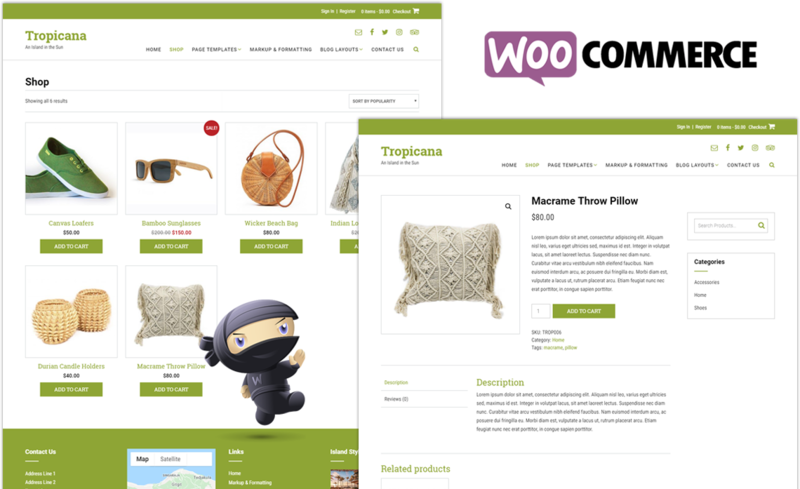 Tropicana integrates seamlessly with a number of popular FREE plugins such as WooCommerce, WPForms, Polylang and Recent Posts Widget Extended. 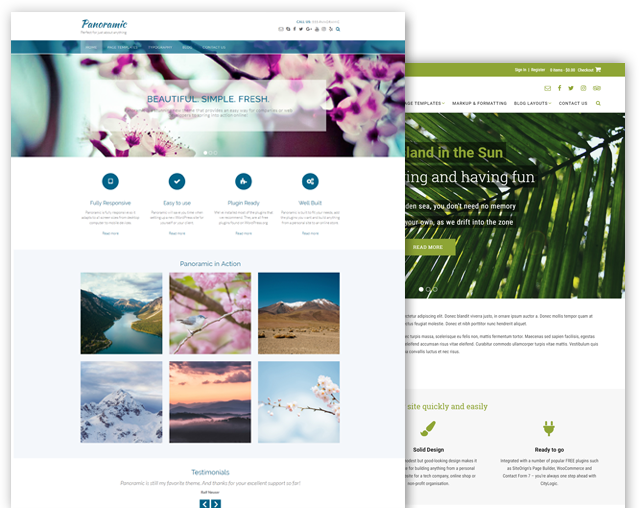 It also works great with SiteOrigin’s drag and drop Page Builder plugin making it quick and easy to create professional looking pages without any coding knowledge. We’ve even provided two page layouts to get you started. You and Tropicana – a match made in paradise! 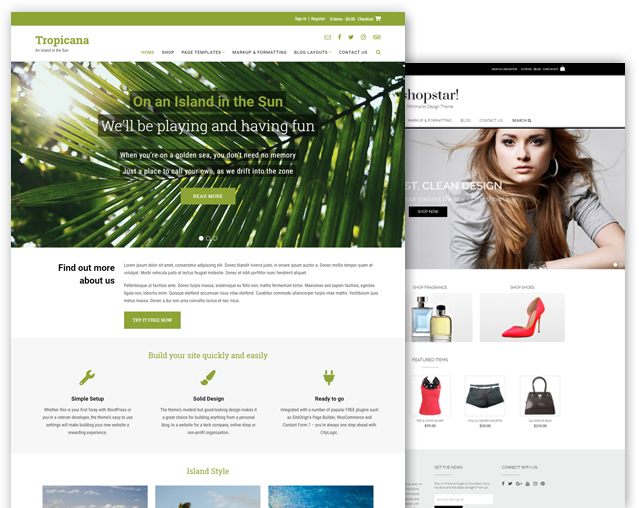 Tropicana is styled and ready for integration with WooCommerce, the most popular eCommerce platform on the web, which makes setting up an online store quick and easy. 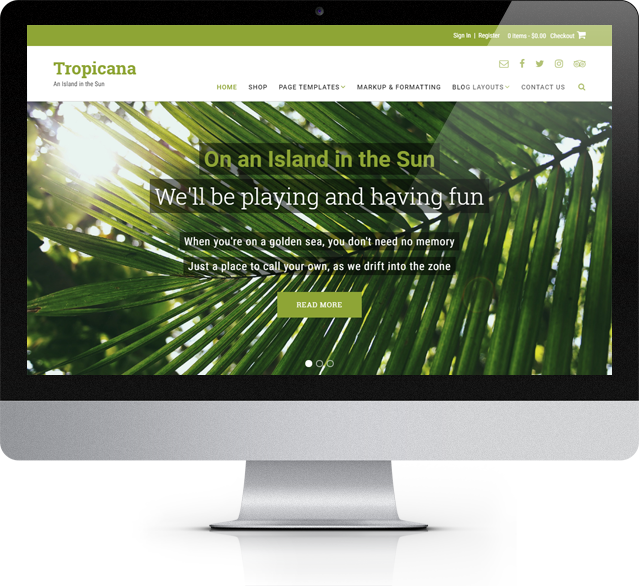 Get a discount price when you purchase Tropicana in a theme bundle.